I have found a HIDDEN GEM in Marinette, Wisconsin and the best part is they SHIP!!! 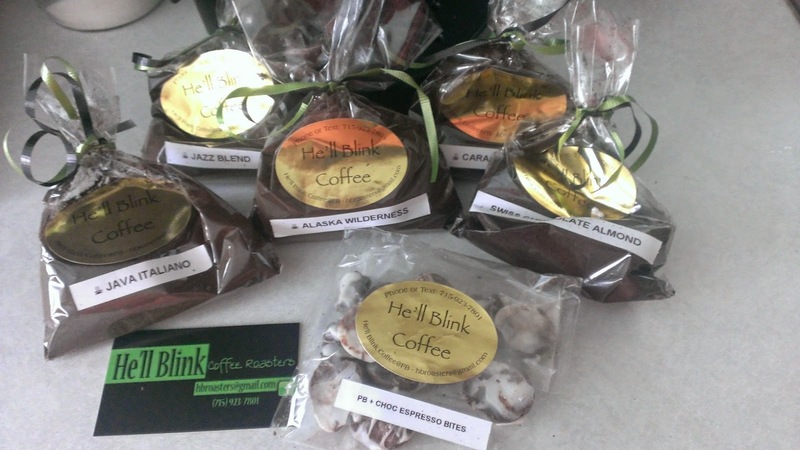 He'll Blink Coffee Roasters is a home based coffee roasting company owned and operated by Lisa Hilbelink. How did I find He'll Blink Coffee Roaster? D's B's Honey. They are regulars at their local Farmer's Market. He'll Blink is also a regular at their Farmers Market. Darla was so impressed with the coffee - she sent me a wonderful sampler set. If you are a Keurig user like me - do not let that stop you from tasting fresh ground roasted coffee. 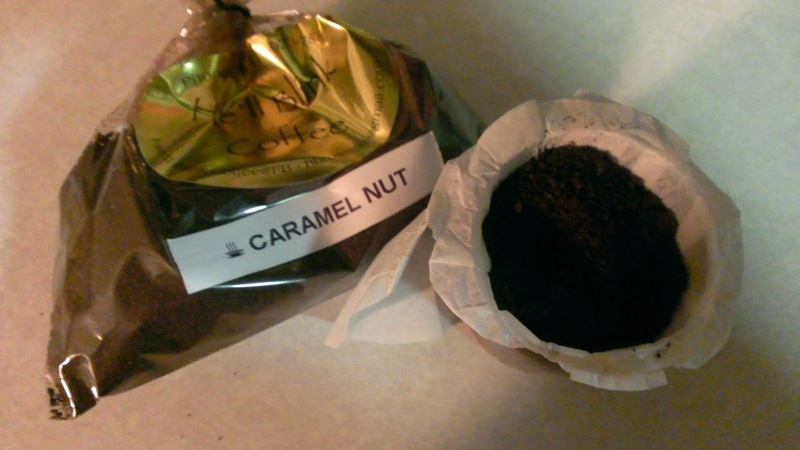 I use a coffee pod to make this delicious coffee in my Keurig. My first cup was the Caramel Nut. It is delicious! Very very tasty! My plan is each night I am going to make myself a tasty cup of flavored coffee for dessert. Great way to enjoy a delicious relaxing treat with delicious flavors for little to no calories. Within hours of roasting Lisa will do her best to get the coffee shipped to you. You had me at Coconut Cream Pie! That sounds SO good. Oh I'm loving the flavored coffee ones and I love the fact that they can be caffeine free as well. I sometimes get my flavors without the caffeine for the days when I don't want caffeine in my diet. My doctor just told me that I need to cut back on caffeine actually, so that is perfect for me, too! I am sure I would love the Caramel Nut. They all sound wonderful though. The Caramel Nut sounds amazing, definitely a flavor combo I would choose. The Swiss Chocolate Almond sounds great as well! Both of those sound really yummy to me too! The flavors are super appealing! Their flavors sound amazing! I'm not a huge coffee drinker but I do like flavored coffees. I am! I am a coffee lover. These sound so great. Nice choice of flavors. My boyfriend uses the pod to make coffee like this in his Keurig too. It works just as well. These sound super tasty! Love coffee! These sound like amazing flavors! Love the name too! Oh my! These sound so good. I love coffee with different flavors! I only drink iced coffee, but my hubby does love a good cup of coffee every now and again. The Swiss Chocolate Almond would probably be his favorite as it would satisfy his sweet tooth and coffee craving all at once! The Alaska Wilderness sounds interesting! I think I'd like to give that a try! I don't drink coffee, but I love hot chocolate and I am a big fan of a variety of flavors! Icing on the cake and blueberry n cream sound a little weird but right up my alley lol. I love trying new and different flavors. Yes I'm a coffee lover. I'd love to try the caramel nut! we are always looking ofr a new coffee. I love the flavored ones, my husband not so much. I need to get some of this for my son in law. He is a coffee fanatic and is always looking for a new coffee to try. Oh great! So many samples and I can't wait to try some. I even dream of the aroma. I'm a sucker for any type of coconut coffee, it's my favorite! I am a big coffee drinker. I would like to try the coconut cream pie and the Alaska wilderness coffee. My husband would love these! We are BIG coffee drinkers, practically all day long. I am a new coffee drinker and these sound amazing. I love a good cup first thing in the morning. I think that Caramel Nut thing would be insanely good! I'm not a coffee drinker but I do love the smell of it and those flavors sound amazing! Decent pricing. I'd love Hazelnut! These flavors sound so good! My husband is the coffee drinker in our house but I'd try these. There is something wonderful and comforting about holding a a hot cup of coffee a few inches from your face before you take a sip. This java junkie is definitely intrigued. I love sampling new coffee! Coffee is my must have every single day. Once a week I treat myself to the good stuff at one of our local shops that roasts their own beans-there is nothing like the flavor in freshly roasted coffee! No milk necessary! It looks like He'll Blink has a lot of great flavors. I'm a bit of a coffee addict so I love finding independent coffee roasters and trying their blends. Thanks for sharing. Highlander Grogg sounds interesting. I'd have to give this one a try. They have such amazing sounding flavors. I think even I would enjoy the Icing on the Cake flavor! I am all about good gourmet coffee! The flavors sound awesome! All of the flavors sound fantastic. I haven't ordered flavored coffee before. I am a coffee lover, so I love to come across posts like this one. And I love that they'll ship these if you don't live in Wisconsin! Wow, coffee is my thing so these look especially delicious! LOVE a good cup of dessert coffee!! I love the name! I also can appreciate a nice cup of coffee. The Highlander Grogg sounds like something I'd like to try. I'm definitely love a good cup of coffee! This name definitely had my attention. Sounds delish! These coffees sound wonderful. I love that I can make them in my Keurig, as well. Yum! I'd never heard of this brand before. Sounds yummy! This looks so amazing! I want to give these a whirl! What an awesome place. It is even more amazing that they ship! I'm not a coffee drinker. My husband likes coffee more and more now that he's older! Oh we love a good cup of coffee in the morning in this house! 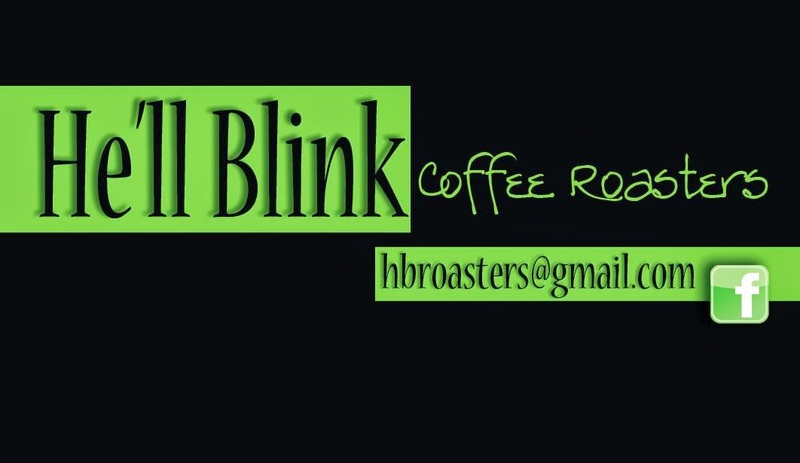 We will have to check out He'll blink coffee! I love coffee and these flavors sound great! I'm going to check them out! Wow these coffees sound amazing.We enjoy a great cup of coffee a couple times a week. I absolutely love finding new things that I can spend time savoring. 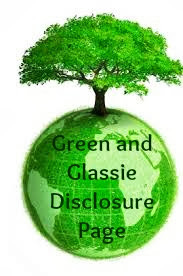 You are finding some awesome things to enjoy with your family. I also love new coffee's!